Nowadays, communication has become really easy for anyone. We have the internet, smartphones and instant messengers to talk to anyone. Even, we can send messages and make voice or video calls without any charges. The internet has made it really possible. This seems to be in our favor as we all are availing these technologies and making good use of these. When it comes to the users of the internet and smartphones, there are billions of people without any restriction of age and gender. The young, as well as children, have phones and access to internet connections. But there is a huge difference in how a teen and a young person uses the phone and internet. The sensible use of internet includes for productivity, academic, research, business and for other purposes. But the teens are using their phones and the internet in a way that worries parents and their guardians. They have all the features in their phones a young person has but their perspective on the internet and its use is totally different. They use the net for entertainment, connecting with new people, making friends, using social media as well as dating sites for fun and killing their time. Teens also share too much information like personal details, locations, and images. Why Parents Should Track Their Children? When it comes to the reasons why parents should monitor their children and track them, we have a number of reasons. All parents love their children and are always concerned about their safety, whether they are at home and using a phone or outside of the house at school. Parents have all the best reasons to track their children. But here we are going to list some more important points that will convince the parents that their children are under tracking all the time. We have seen many families share their locations when they go to eat out or spend some time for entertainment. This trend is now increasing in the children and teens. They have also started sharing their locations whenever they are going out with friends or even alone. They post a status when they are eating at a restaurant. Such things look attractive and can impress others. But these children are risking their life and security. Parents don’t about such things but they can learn in order to keep their kids safe. You might have seen that when you are on the desktop, the apps and sites can’t access your location. That means you are pretty safe on the desktop. Whereas this is not the case when it comes to phones. Most of the apps on a device have access to contacts, images, camera as well as the location of the device. This access to location makes the phone user vulnerable. Anytime, any app or site can access the location and track you in the background. People who want to get such details will exploit them and proper guide to parents to protect teens on digital devices. Another factor that should parents consider is the children and teens are now taking drugs. There are many types of drugs teens use these days and they hide all such things from their parents. Teens are ruining their lives with drugs but parents are not worried. This is a serious issue and even the teens who don’t want to use drugs are forced by their peers and friends. So all parents should know the locations and whereabouts of their children to know what they have been doing. We have talked about the best reasons and why should parents track the device of their children. It has become clear that parents should monitor their children all the time. But how parents can do so? There is an easy for it. All parents worried about their children should use BlurSPY cell phone spy app. This app is a wonderful parental control app. BlurSPY offers a stealth mode feature that allows the users to track a device without letting the device owner know about it. Parents should use this feature because their children will never know about it. 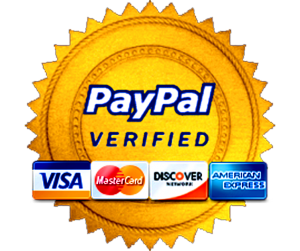 Purchase the license and you will be given a link to download the app. You can use the device of your child for a few minutes and install the app during this time. The app icon will be hidden and your child can’t find it. When the app has been installed, you can return the phone to your child. They will not notice anything suspicious. The app size is very small and it doesn’t consume any extra space or affect the battery of the device. It works normally in the background. Your child will never be able to spot that BlurSPY Android spy app is tracking them. Now you can track their location. The app will share the exact live location with you. It will also keep the weekly records of all locations your child will visit. Parenting is literally hard and all the parents have great concerns when it comes to the safety of their children. 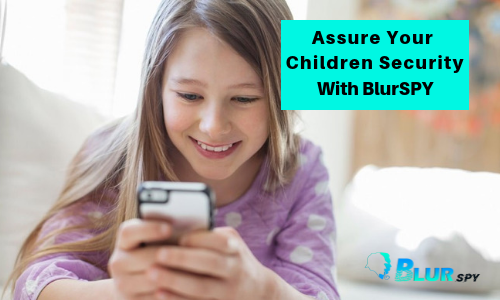 Parental control can help in this regard and parents can just outdo their parental control with BlurSPY app and its stealth mode feature. This feature allows parents to track device of their child without them knowing.